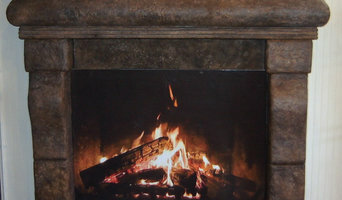 Select Fireplaces carries high-quality designer fireplaces. Whatever product you’re interested in, we’re here to meet your needs. We’re committed to providing you with best-in-class customer service. Cast Stone Fire Surrounds and Wall Murals, unique to Artist Colleen Garnet Boddez. We design and make our Surrounds in our studio, any size, colour or design, either custom or from our new Studio Line. Our fire surrounds will accommodate wood burning, gas or electric fireboxes. Welcome to Fireplaces by Weiss-Johnson - the newest and most exciting fireplace showroom in Edmonton & surrounding area. Whatever your style, from modern linear to traditional log to electric fireplaces, we have what you need. And just when you think you’ve seen it all, check out our European lines. Our large selection includes models from Heatilator, Majestic, Morso, Kozy Heat, Amantii, USS Stove Company, Malibu and many more. Come in and feel the warmth we have to offer. Let us answer all of your questions and help you make the right choice for you and your family. Fireplace Gallery is a family-run business that has served the needs of homeowners throughout Edmonton and Northern Alberta for over 30 years. We have built our reputation as a regional leader in the fireplace industry by consistently offering superior craftsmanship and customer service. As a result, many homebuilders, contractors, and landscaping companies have chosen to partner exclusively with Fireplace Gallery. St. Albert Chimney Sweep is an independent family owned business, serving St. Albert, Edmonton, and the surrounding areas. Our team is always friendly and approachable. We make sure to treat your home like our own whether we’re installing a new gas stove or performing a routine chimney cleaning. We lay down plastic to protect your belongings from soot and other chimney debris. The only thing we leave behind is a sparkling clean chimney. Traditionally, people had limited options when selecting their moulding products. Today, we smash through those limits and bring you closer to the exciting future of custom home moulding. Equipped with sophisticated CNC-Cutting Technology, we are able to generate practically any shape or design that you can dream up. CNC stands for Computer Numerical Control, which means the shaping process is highly automated, and is capable of delivering a 1/32″ tolerance. Our advanced equipment is effectively a 3D printer for your home moulding needs. Never before have you had this level of creative authority over the final look and feel of your home. Gemco Fireplaces & Wholesale Heating Products is one of Western Canada's largest locally owned retail/wholsale suppliers of fireplace and HVAC products. We welcome your inquiries and invite you to come and visit us in person! *Authorized Heat & Glo Fireplace Dealer* With over 100 burning units in our two showrooms and brands such as Heat & Glo, Lennox, Jotul & Osborne, our customers get to see the fire burn before installing in their home. A great selection of BBQ grills also awaits you! Since 1976 the Wood & Energy Store has been Western Canada's leading hearth products retailer. With more than 60 fireplaces installed and burning in our two Edmonton Stores you are sure to find the perfect fireplace for your home. We are known for having the best variety of product, the most experienced staff and the largest warehouse facility. This means that when you are looking for perfect fireplace or stove, you'll find it here. When you want to purchase it you won't have to wait for us to order it in. When you want it installed, we'll install it and when we install it we'll install it with WETT certified installers, licensed gas fitters and the guarantee that the installation will meet all building codes. Northern Fireplace has been delivering first class products since 1995. Our friendly staff is standing by to help you find the right fireplace, stove or insert for your needs from our vast selection. However, sales are just a part of what we do. We are also pleased to provide expert installation—you can have confidence knowing the work is always done right! Our mission and purpose is to supply, install and service quality, energy efficient fireplaces and other hearth products in Saskatchewan and Alberta. Retailer and distributor of Kingsman gas fireplaces. Blaze King and Ardent Energy thermostatically controlled wood burning stoves. RSF thermostatically controlled wood burning airtight fireplaces. Dealer for Traeger BBQ's and accessories. Once upon a time, fireplaces were central to the home — meals were even cooked in them. Fireplaces go beyond physical comforts too, offering psychological and emotional warmth even in modern households. However, installing a new fireplace can go wrong, quickly. There is a lot to keep in mind, and there are plenty of safety measures that you need to get right. Reaching out to an Edmonton, AB fireplace professional can help you find the right unit for your home and make sure it’s installed correctly. What should you know about buying a fireplace in Edmonton? Since wood smoke contributes to air pollution, many cities have banned the use of wood-burning units. If you’d like to buy a wood burning unit, check the Edmonton, AB city policies first. If your home already has a wood-burning unit that you’re concerned about, contact a fireplace manufacturer to replace your wood-burning unit with an environmentally friendly electric or gas alternative. Gas inserts can be efficient heaters and may lower your electric-heat bill. Many adjust to provide high heat on a cold night or a low-burning flame for ambience. Interior fireplaces and mantel designs are as varied as home interiors. 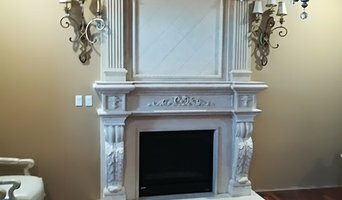 From custom fireplace mantels made to conceal a flat-screen TV to custom hearth designs with elaborate Renaissance-style stone mantels, the latest designs can be found by visiting Edmonton, AB fireplace showrooms. Find fireplace manufacturers and showrooms, plus fireplace installation professionals, on Houzz. Go to the Professionals section to find Edmonton, AB fireplace design and installation experts.